Pay and benefits is always a live issue within the heritage sector, not least as much of the sector pays relatively low wages in comparison to the skills base which may workers have, and the necessity in many organisations for use of a large volunteer base to keep many attractions operating effectively. Much analysis has been undertaken and promotion of appropriate salary structures over the years by organisations such as the Museums Association and the Chartered Institute for Archaeologists. Less analysis and awareness exists though on the longer term benefits and pension arrangements for staff within the sector. 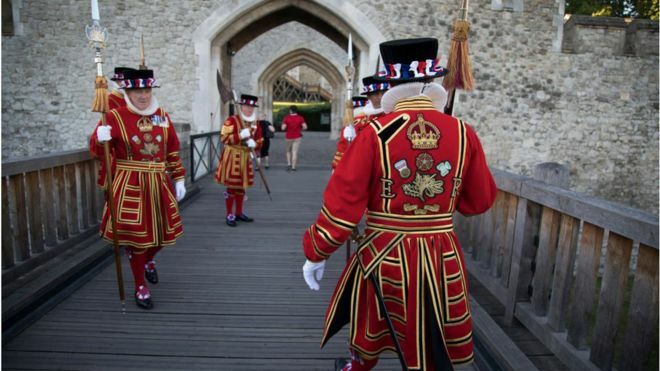 This has been brought to the foreground recently with the Yeoman Warders (also known as Beefeaters) voting to take strike action against their employer, Historic Royal Palaces, who are closing their final salary pension provision and moving staff onto a defined contribution scheme. A number of public sector heritage organisations such as museums and national conservation agencies have changed their public sector status over the past few years: this has led to changes to pay and benefits structures. Some bodies have shifted from being closely allied to the central civil service, towards independence from government, and reconstitution as “arm’s length” bodies, often referred to as quangos (quasi-autonomous non-governmental organisations). The Government’s Culture Ministry, DCMS, has a large number of quangos, agencies and public corporations under its umbrella responsibility. Some of these have retained civil service pension schemes; some have ‘analogous‘ schemes which are largely comparable and follow similar rules; some have developed their own provision or arrangements with commercial schemes. In some cases, staff in the same overarching organisation have a mixture of provision, where ‘trading companies’ may have been set up with different pay scales and pension arrangements for particular groupings of staff, e.g. visitor services or catering employees. Historic England employees have access to the Civil Service Pension Scheme, whilst English Heritage employees (which falls under the responsibility of Historic England, though as a separate charity) now only have access to a group pension plan provided by Legal & General. British Museum core staff have access to the Civil Service Scheme, whilst trading company staff have a defined contribution scheme; the Natural History Museum on the other hand offers a scheme to all permanent or fixed term staff which is provided by FriendsLife. There is some interesting mapping to be done of the current situation (particularly in the larger organisations) and the potential long-term issues for not only these organisations, but also the career paths of staff in the sector, now and in the future. It may also be instructive to reflect on the long-term approaches which heritage organisations take towards the assets they are looking after, versus the human assets in their employment.